Uniting community and supporting friends and neighbors through end of life conversation. 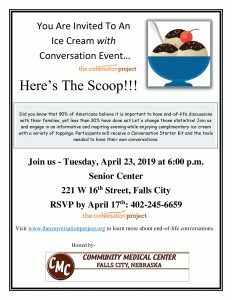 The Community Medical Center Conversation Project was formed in September of 2017. 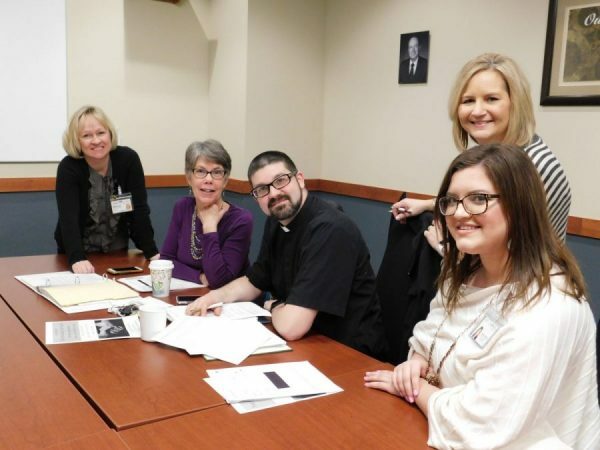 Ivy Campbell, Director of Nursing at Community Medical Center, spearheaded the start of this project and the committee consists of members from CMC Nursing Department, Family Medicine Clinic, Family Practice Clinic, local Clergy, Nursing Home staff and Hospice staff. Did you know that 90% of Americans believe it is important to have end-of-life discussions with their families, yet less than 30% have done so? The consequences can be devastating, particularly when family members are in the throes of emotional distress, which is just one of the reasons why. Since the start of this project, the group has met on a regular basis to create new ideas on helping community members have their conversations with their loved ones. They’ve held many presentations throughout the community. During these presentations attendees are provided with important information about choosing a health care proxy, the importance of talking with your doctor, advance directives, conversation starter kits, educational pamphlets, videos, stories, etc.